Divock Origi drew Liverpool level as West Ham turned the tables in a match of defensive and goalkeeping calamities; including a costly one from under-fire Loris Karius. Karius failed to stop Dimitri Payet's free-kick in the 27th minute, while Darren Randolph hacked at Sadio Mane's cross and allowed Divock Origi to fire home. Adam Lallana scored in the 5th minute for Jurgen Klopp's side, and Michail Antonio initially sent West Ham into the lead as both sides scrapped for supremacy at Anfield. Liverpool: Karius; Clyne, Matip, Lovren, Milner; Lallana, Henderson, Wijnaldum; Mane, Origi, Firmino. West Ham: Randolph; Nordtveit, Reid, Ogbonna, Cresswell; Noble, Obiang; Antonio, Lanzini, Payet; Ayew. Under the bright lights of Anfield, the sense of anticipation was rife as Liverpool looked to respond in dominant fashion to the irresponsible 4-3 defeat at Bournemouth having been 3-1 up beforehand. Even in the opening stages, the movement and tenacity in the attacking spaces caused West Ham an awful lot of stress. 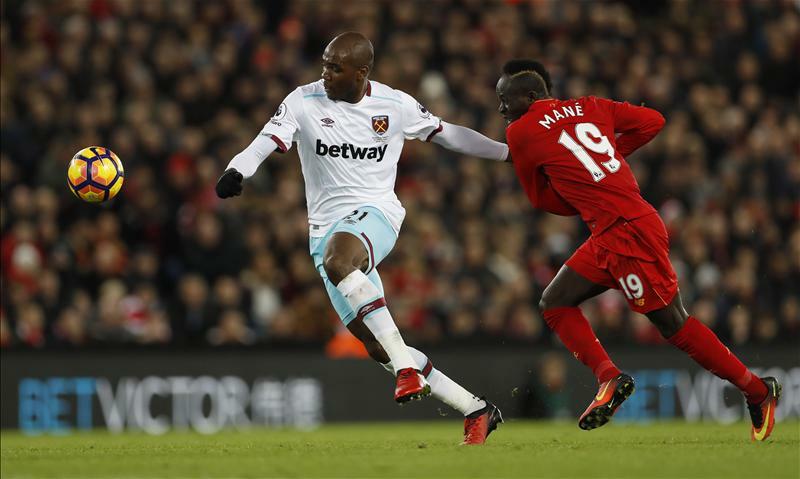 Nordtveit was chasing Sadio Mane's shadows and, within five minutes, saw his side relinquish a clean sheet because of it. Adam Lallana, the converter, latched on well to Mane's cross from the left flank, plucking the ball out of the air and swirling onto his left side to steer a neat finish in the far corner. Randolph's best efforts came to no avail as Slaven Bilić watched his frail defence crumble under adversity. The Reds have occupied an impressive offense so far in this campaign, however niggling lapses at the back has restricted them from topping the table in December. Further exemplified, Michail Antonio was found deep in Liverpool's half and, while Karius steered his effort round the post, it was shades of Bournemouth last week with another let-off. Jurgen Klopp's team applied further oppression, but to his evident frustration on the bench when James Milner's inswinging corner was steered on by Matip but no red shirt was able to convert at the far post. Moments later, disaster struck as Dimitri Payet equalised, silenced the home crowd and left Jurgen Klopp with another dilemma between the sticks. Payet, one of the best free-kick takers in the league, curled a low effort in a suitable spot for most goalkeepers to save, but instead Karius made a dog's dinner of the 'save' and bundled the ball into the net with his own glove. A lot of theories and stats can be created, but Loris Karius remains no upgrade to Simon Mignolt and, should we compare based on this season's events, he is a clear degrade. The Reds attempted a fiery response - with some delightful link-up play between Mane and Lallana - but Jordan Henderson shot as a result was crucially thwarted by Aaron Cresswell. 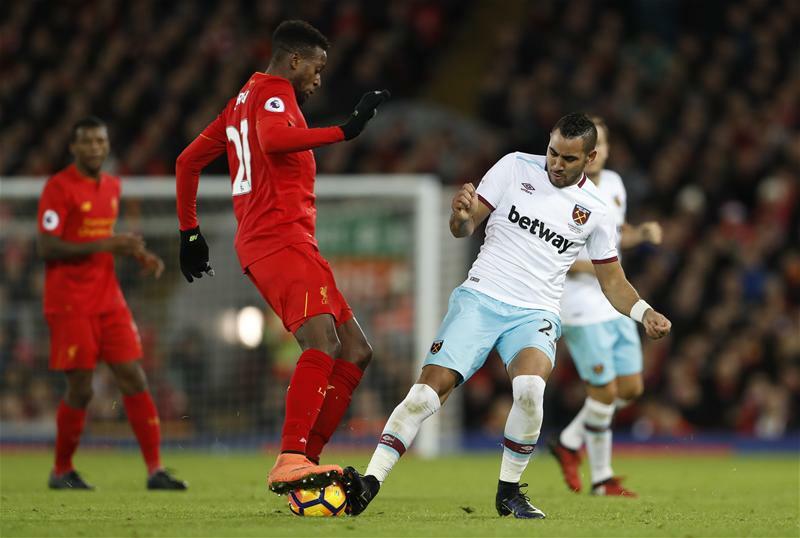 West Ham obtained a foothold as space opened up in the attacking areas, and all of a sudden Liverpool's defensive awareness was exposed as Michail Antonio took West Ham into the lead. The ex-Nottingham Forest man capitalised on Matip's lapse of concentration, then dinked over the advancing Loris Karius as the ball trickled over the line despite Nathaniel Clyne's late pursuit. Both managers watched attentively as the home side showed serious urgency to draw level before the interval. Though to no avail, West Ham hearts were beating relentlessly when Dimitri Payet was let off the hook by referee Mark Cluttenburg when he bundled over Adam Lallana in the box, while Joël Matip came tantalizingly close to drawing level as his header clattered off the crossbar late in the first half. In another humiliating blunder, Darren Randolph conceded a few minutes into the second stanza in a cross he made alarmingly more difficult than it should have been. Randolph was authorized to claim Sadio Mane's dink into the box with ease, but his unintelligent hack bundled the ball into the feet of Divock Origi who required no second invitation to rifle home and level the score. Slaven Bilić deserves criticism in his own right, but it is impossible to blame him for his team's defensive blunders and indecisive moments that allowed Liverpool back in contention. In fact, his defenders were fortunate to retain the 2-2 scoreline even ten minutes into second half. 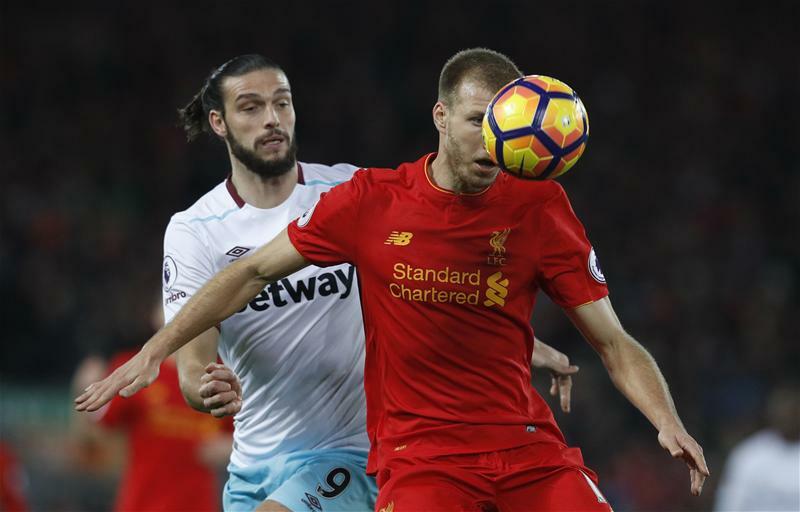 Liverpool's urgency was apparent and the attacking options seemed endless and almost uncontrollable for The Hammers. Georginio Wijnaldum's scuffing shot merely trickled round its intended target, while Winston Reid blocked Divock Origi's attempt from a loose ball. Andrew Ayew's 60 minutes of sheer irrelevance was brought to a halt when Andy Carroll was introduced, subsequent to Wijnaldum curling an effort around the far corner as he exposed Nordtveit's lack of speed in the full-back position. West Ham's increase in attacking intensity came to no avail, and their lack of cohesion as a unit was apparent when compared to Liverpool, who build strong partnerships, link-up well and create tons of chances. Jordan Henderson speculative shot was brilliantly tipped over the crossbar by Darren Randolph at full stretch, meanwhile Aaron Cresswell dinked James Milner's cross out of play after Mane failed to make contact in front of goal. Both sides tired, however concentration levels were paramount in the late stages. The Hammers survivied the hosts' attacking output as Klopp's side flexed their muscles, and Loris Karius at last won a one-on-one battle as he cleared the danger in the air with Andy Carroll lurching. Liverpool were the better side, but individual mistakes cost them the win. Loris Karius should have saved Payet's free-kick, and Matip's indecisive moment allowed Michail Antonio to convert West Ham's second. The Reds will be frustrated, but other teams around them are also dropping points like there is no tomorrow. As of now, Jurgen Klopp's first league title at Anfield remains well within his clutches.